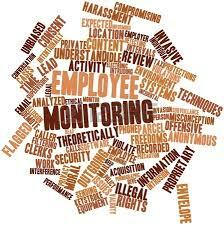 Business owners usually use employee monitoring software to see what employees are doing during working hours. Employee monitoring software often allows managers or administrators to monitor if the employees are doing anything might be against company policy. The computer is widely used in the office today, so it has also become increasingly difficult for operators to manage the online activities of their employees, why? Because there are so many things that employees can do on the Internet, you can hardly know what they do every day on their computers. The employee monitoring software plays an important role in helping managers to monitor what employees are doing on their computers. Now we can see how the employee monitoring software helps managers monitor employee productivity. First, the most common tasks that employees do online is surfing the internet. A survey shows that the majority of employees are visiting certain websites which are not related to their work. The employee monitoring software allows all operators to record all visited web sites, so you can know all the web sites they visit on the Internet. Email is also commonly controlled, as emails are often sent through the server of the company. The employee monitoring software allows you to record all e-mail messages that are sent by the employees, in order to know clearly about what they send to others. Another thing employees often do is downloading files from the Internet. Many employees download all kinds of files from the company owed computer , which is really bad for the efficiency of work. It slows down the speed of network and affect others’ work. The employee monitoring software keeps track of all files that are downloaded on the Internet, so that managers can take actions depending on whether the employees are downloading files in the company. IMonitor EAM is the most powerful and professional employee monitoring software for executives and personal use, because it works in silence on each computer and record everything employees do on the Internet, such as the visited Web sites , the one who sent e-mails, what applications they use, files downloaded from the Internet. In addition to these, there is also all keystrokes and passwords that employees typed on their computers, which often helps to know what they do on their social networks, who chat online with friends, with whom they chat and more. IMonitor EAM also works as the best software for Internet control that can do well to help people block any unwanted sites on the Internet, which means that you can easily limit the online activities of your employees by simply adding the URLs and keywords of the web site into black list. Similarly, this perfect employee monitoring software, also blocks all improper programs on your computer.